Consultation Process is now closed. Refer to New Domain Registration Policy announcement here. NIC(Malta) is proposing changes in the way domain names are registered in the .mt namespace. With this proposal, it would become possible to register domain names at the second level, directly to the left of the .mt country top-level domain name. For example it would become possible to register myname.mt. Registrations at the third level, as at present, would remain possible. In order to ensure that changes to the existing registration policy bring the maximum benefits to existing and future registrants whilst causing the minimum possible disruption, a Preferential Registration Period is being proposed. During this period, existing registrants would have their corresponding second level domain name automatically blocked such that no one else can register this name. For example, the registrant of myname.org.mt would have the corresponding second level domain name myname.mt blocked. Furthermore, unless there is a conflict on the blocked name, an existing registrant may register and start using the corresponding second level domain name free of charge throughout the Preferential Registration Period. After the Preferential Registration Period, normal registration and renewal fees would apply. It is being proposed that this Preferential Registration Period would be effective for three years from the time that the new policy is adopted in order to give adequate time for registrants to decide whether or not to register the corresponding second level domain name. Furthermore, in order to ensure a level playing field, registrants of new second level domain names would be offered the possibility to register and renew for free a corresponding third level domain name, if this is available, for the entire duration of the Preferential Registration Period. For example, an educational entity that registers myname.mt during this period, may also opt to register myname.edu.mt for free during the Preferential Registration Period. NIC(Malta) is also committing itself to revise downwards registration and renewal fees once the impact of the new policy can be adequately assessed. More choice – Through the proposed policy NIC(Malta) would be offering more choice to existing and future registrants in the .mt namespace. Simpler, shorter names – Domain names under .mt would no longer require an additional three letter second level domain name, resulting in shorter and snappier names. The focus of the domain name can be on your organisation’s preferred branding. Avoids inappropriate labelling – Some domain names do not quite fit within the existing hierarchical structure which categorises a domain name as being either commercial (.com.mt), non-profit organisation (.org.mt), internet service provider (.net.mt), educational (.edu.mt) or governmental (.gov.mt). Thus, for example, individuals may register their personal domain names without any hindrance. Follows similar changes in the wider Internet – Other countries have adopted similar changes to their policies, such as for example in the United Kingdom (.uk) and New Zealand (.nz). In addition, IANA has recently introduced a large number of generic top-level domain names which are bound to increase in the future. Therefore, this new policy is also being proposed so that .mt remains relevant in the evolving Internet. The proposed new draft Domain Name Registration Policy together with the corresponding amended Terms and Conditions for registering a new domain name can be found here. In addition an FAQ is available here to explain better the proposed changes. Please send any feedback on these proposed changes via e-mail to 2LD@nic.org.mt or in writing to NIC(Malta), University Campus, Msida MSD2080, Malta. Feedback is to be received by not later than 30 June 2016. A public consultation meeting is going to be held on Monday 13 June 2016 at 6pm in Hall E, M.A. 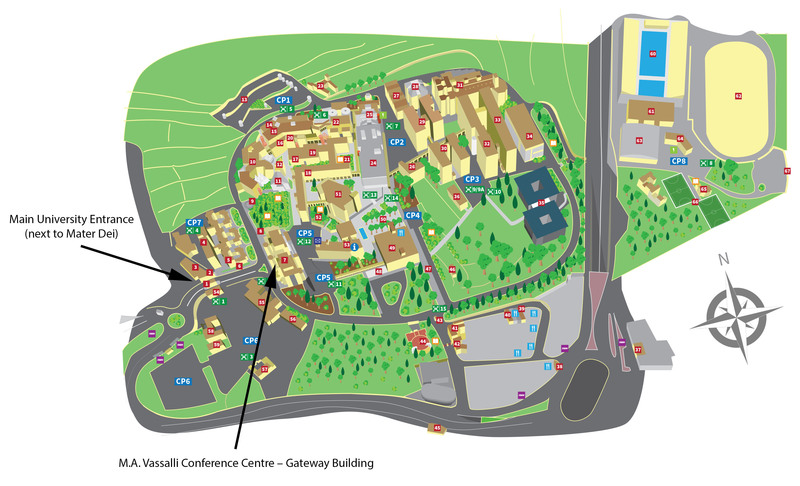 Vassalli Conference Centre – Gateway Building, University. Unless you specifically state otherwise, you are consenting to your name as well as your feedback to be made publicly available by NIC(Malta).